With Gurgaon already reaching its saturation point in terms of real estate investments, buyers as well as investors, have a new window of opportunity in the neighborhood. Faridabad, now with the functional Badarpur-Faridabad Metro line, has a lot to offer in that regard. Considered to be Delhi's second satellite city, Faridabad has a great shot at reviving its real estate growth and promises a new avenue for greater returns to the investors. Delhi Metro's Faridabad Corridor happens to be the first mass transit system with a metro line of 13.87 kilometers resulting in an upward surge of property prices in the area. As an investor, you now have an opportunity to get affordable luxury residential projects, access to a better lifestyle, and avail the advantage of better returns. 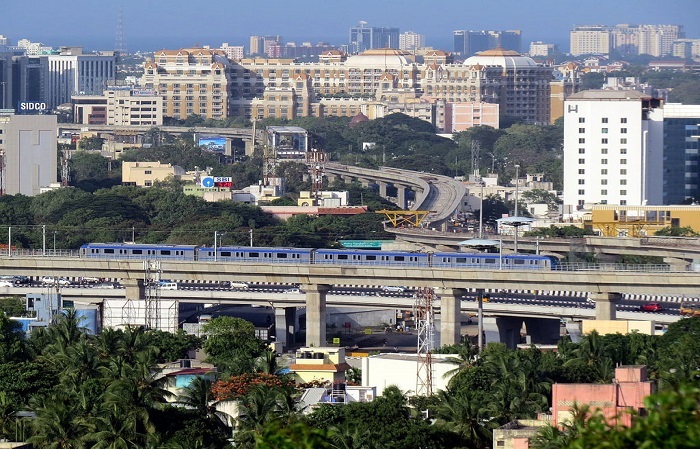 Post Metro Line – What Are The Changes? Other than better connectivity to places like Delhi, Gurgaon, Ghaziabad, and Noida, brokers are positive that the metro line would also bring an about a shift in the property prices, which certainly looks set to increase multifold in the coming months. Presently, the rents of homes are on rise post this introduction. The demands for houses in this quasi-industrial area is set to be on a rise, owing to its proximity to New Delhi, as well as its connectivity to the main highway NH-2. Since the new metro connects Sarai, NHPC Chowk, Bata Chowk, Escorts Mujesar, and Old Faridabad, the prospects for the real estate growth in this region appear to be positive for investment purposes. The establishment of a metro line is turning to be a major impetus behind property demand in this area, as has been pointed out by Anuj Puri, Chairman and Country Head, JLL India. The metro would open up a fresh demand for properties and real estate investment in the areas surrounding South Delhi. This in return, would most likely, also increase prices in the overall submarket for medium and long-term periods of investment. As an investor, you have the opportunity to propel your earnings with this project since the demand of properties around the area would steadily increase. With further expansion of the metro line and possible connectivity enhancements, the future has never looked brighter for Faridabad as far as real estate development goes. Seeing that the dilapidated transport services have received a fresh vibe, the investors are hopeful that the metro line connectivity will escalate the prices as well as the demand of the property in this area. You have a chance to increase your returns by investing in the areas around the metro line, as the marketers are touting a steady rise in even the rents of the buildings in Faridabad. The Badarpur-Faridabad Metro promises a positive real estate growth in this industrial area. So, if you ever needed convincing to invest in Faridabad, this is the cue you shouldn’t miss out on. In case, you are ready to brave the tide and make an investment, be sure to check out commonfloor.com, an online housing portal, to get all the details from property listings to asking prices.